Come out and meet 150-250 business professionals! 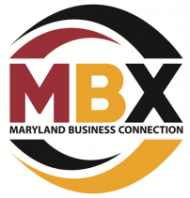 Skilled Networking and Maryland Business Connection are happy to announce this year’s Annual Mega Networking Holiday Party. Free admission with donation of non-perishable goods to be collected at the door and distributed to the local community by Paul’s Place. Please Register so that we make sure to have enough food for everyone. You are on your own for your drinks. There will be door prize drawings throughout the evening.